Beechcraft T-6 Texan II, AgustaWestland A109LUH. The Royal New Zealand Air Force (RNZAF) (Maori: Te Tauaarangi o Aotearoa, "New Zealand Warriors of the Sky"; previously Te Hokowhitu o Kahurangi, "War Party of the Blue") is the air force component of the New Zealand Defence Force. It was formed from New Zealand elements of the British Royal Air Force, becoming an independent force in 1923, although many RNZAF aircrew continued to serve in the Royal Air Force until the end of the 1940s. The RNZAF fought in World War II, Malaya, Korean War, Vietnam and the Gulf War plus various United Nations peacekeeping missions. From a 1945 peak of over 1,000 combat aircraft the RNZAF has shrunk to a strength of around 51 aircraft in 2016, focusing on maritime patrol and transport duties in support of the Royal New Zealand Navy and the New Zealand Army. The RNZAF's air combat capability ended in 2001 with the disbanding of the A-4 Skyhawk squadrons. The Air Force is led by an air vice-marshal who holds the appointment of Chief of Air Force. The RNZAF motto is the same as that of the Royal Air Force, Per ardua ad astra, meaning "Through adversity to the stars". New Zealand's military aviation began in 1913 when the New Zealand Army was presented with two Blériot monoplanes by the United Kingdom. These machines were grounded after a young woman was given a joyride. Both aircraft were however handed back after war broke out. In the Great War, New Zealand aircrew flew as part of the British Royal Flying Corps and Royal Naval Air Service. 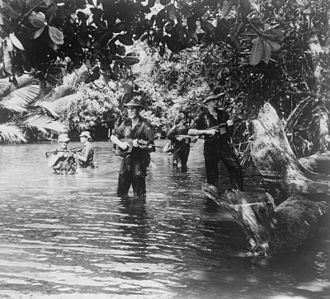 New Zealand pilots serving with British forces saw service in all theatres. Fifteen became aces, the top scorer being Keith Caldwell with, depending on how counted, more than 24 victories. The government assisted two private schools to train pilots for the conflict. The Walsh brothers flying school at Auckland was founded by Leo and Vivian Walsh—pioneers who had made the first controlled flight in New Zealand. From 1915 pilots trained on the Walsh Brothers Flying Boats including Curtiss machines, aircraft of their own design and, later in the war, the first two aircraft made by Boeing. In 1916 Sir Henry Wigram established the Canterbury Aviation Company at Sockburn, Christchurch, and purchased Caudron biplanes from Britain for pilot training. He gave the aerodrome, later Wigram Aerodrome, to the government for defence purposes. At the end of the war many New Zealand pilots stayed with the new Royal Air Force and several had attained high rank by the outbreak of World War II. Others returned to New Zealand and, serving part-time, provided the nucleus of the New Zealand Permanent Air Force (NZPAF). At the close of hostilities Great Britain offered an Imperial Gift to each of the Dominions of a hundred war-surplus combat aircraft. New Zealand was the last to respond and least enthusiastic. When the 33 total aircraft, Avro 504s, Bristol F.2 Fighters and, De Havilland designed, Airco DH.4s and Airco DH.9s did reach New Zealand they were either placed in storage or loaned to the flying schools, barnstormers and nascent commercial operators. Several of the military aircraft were heavily modified—a 504 becoming a 3-seat floatplane and a DH-9 acquiring an enclosed passenger cabin. The importance of aviation in war was belatedly recognised, largely thanks to the efforts of visionary parliamentarian Sir Henry Wigram. On 14 June 1923 the New Zealand Permanent Air Force was gazetted: a part of the Army initially staffed by a total of four officers and two other ranks as full-time staff, plus the New Zealand Air Force with 102 officers on the Reserve lists. It was initially equipped with the surviving Avro 504K, the DH.4s, DH.9s and Bristol Fighters. These operated from an airfield outside Christchurch at Sockburn. In 1926 Wigram donated £2,500 for the purchase of modern fighters and Gloster Grebes were acquired. Sockburn was later renamed RNZAF Station Wigram, a name adopted by the suburb which grew up around the airfield. It is the site of the present Royal New Zealand Air Force Museum. A trickle of new-build Bristol Fighters and other new types joined the NZPAF in the late 1920s and early 1930s. A Lewis gun-equipped De Havilland Gipsy Moth floatplane took part in naval operations against rebels in Samoa. The NZPAF's first action came in 1930 when the Moth dropped an improvised bomb made out of a treacle tin on to a ship suspected of gun-running. The bomb did no damage, and the target turned out to be a local missionary vessel. A territorial wing of the New Zealand Air Force was raised in 1930 with three squadrons at Hobsonville (with flights at Hamilton and Napier), Wellington and Christchurch though without equipment. A fourth squadron planned for Dunedin had not been raised even by July 1939. More creditably, Fairey IIIFs made a dramatic maritime rescue and in the aftermath of the Napier earthquake the NZPAF flew in urgently needed supplies and medical equipment. Like other western air arms a major expansion began from the mid-1930s. The NZPAF ordered twelve Vickers Vildebeests in 1933-34 to form two bomber-reconnaissance flights at Hobsonville and Wigram. In 1937 29 Blackburn Baffins were purchased specifically to equip the Territorial Air Force for coastal reconnaissance work. An initial shipment of 16 Vickers Vincent bomber-reconnaissance biplanes arrived in July 1939. More modern British types eventually arrived, including significant numbers of Airspeed Oxfords, Avro 626s, Fairey Gordons. The NZPAF was renamed the Royal New Zealand Air Force in 1934 and became an independent service in 1937. At the outbreak of World War II the primary equipment of the RNZAF was 30 Vickers Wellington bombers, which the New Zealand government had offered to the United Kingdom, in August 1939, together with the crews to fly them. They became 75 Squadron. Many other New Zealanders were serving in the RAF. The primary role of the RNZAF was to take advantage of New Zealand's distance from the conflict by training aircrew, as part of the Empire Air Training Scheme, alongside the other major former British colonies, Canada, Australia and South Africa. For this task large numbers of De Havilland Tiger Moth, Airspeed Oxford and North American Harvard were manufactured or assembled locally and second-hand biplanes were acquired—such as Hawker Hinds and Vickers Vincents—as well as other types for specialised training such as Avro Ansons and Supermarine Walrus. Only when German surface raiders became active was it realised that a combat force would be needed in New Zealand in addition to the trainers. The majority of RNZAF personnel served with RAF units, six RNZAF Article XV squadrons, which were RNZAF units attached to RAF formations, and the Fleet Air Arm—in Europe, the Mediterranean, South East Asia and other theatres. Commonwealth personnel under RAF operational control were pooled for operational practicality and many RNZAF airmen also served with Royal Australian Air Force or Royal Canadian Air Force Article XV squadrons. New Zealanders in the RAF itself included pilots, such as the first RAF ace of the war, Flying Officer Cobber Kain, Alan Deere (whose book Nine Lives was one of the first post war accounts of combat) and leaders such as the World War I ace, Air Chief Marshal Sir Keith Park, who commanded No. 11 Group RAF in the Battle of Britain and went on to the air defence of Malta and, in the closing stages of the war, Commonwealth air units under South East Asia Command, and Air Marshal Sir Arthur Coningham Air Tactical Commander of D-Day. Three RNZAF pilots were awarded the Victoria Cross while serving with the RAF. James Allen Ward, a Sergeant Pilot with 75 Squadron, was first, when he climbed out onto the wing of his Vickers Wellington bomber to smother an engine fire in flight on 7 July 1941. In 1943 then Wing Commander Leonard Trent continued to lead an extremely hazardous, but vital, attack at the head of 487 Squadron until every aircraft was shot down. The same year, Flying Officer Lloyd Trigg, serving with No. 200 Squadron RAF was piloting a Consolidated Liberator bomber when it encountered a U-boat on the surface off the African coast. He attacked U-468 but as he did so, the aircraft was hit by U-boat anti-aircraft fire and burst into flames. The aircraft continued the attack and sank the U-boat but crashed shortly afterwards, with all the crew being killed. The crew's actions were reported by the U-boat's survivors, and the VIctoria Cross was awarded as a result. The first NZ squadron to serve with the RAF was not strictly an Article XIV squadron. No. 75 Squadron RAF, was formed by RNZAF aircrews and Vickers Wellington bombers in August 1939. The squadron later flew Short Stirlings, Avro Lancasters and Avro Lincolns. Through accident or design, other RAF units came to be mostly manned by RNZAF pilots, including No. 243 Squadron RAF in Singapore, No. 258 Squadron RAF in the UK and several Grumman Wildcat and Grumman Hellcat units of the FAA (leading some texts to claim these types were used by the RNZAF). New Zealand Article XV Squadrons included No. 485, which flew Supermarine Spitfires throughout the war; No. 486 (Hawker Hurricanes, Hawker Typhoons and Hawker Tempests); No. 487, (Lockheed Venturas and De Havilland Mosquitoes); No. 488, (Brewster Buffaloes, Hawker Hurricanes, Bristol Beaufighters and De Havilland Mosquitoes); No. 489, (Bristol Blenheims, Bristol Beauforts, Handley Page Hampdens, Bristol Beaufighters, and De Havilland Mosquitoes); and No. 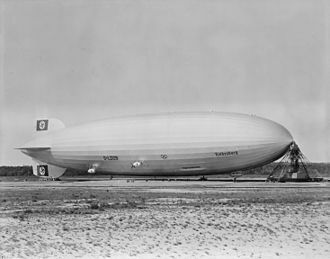 490, equipped with Consolidated Catalinas and Short Sunderlands. Harvards continued as trainers until the mid-1970s. 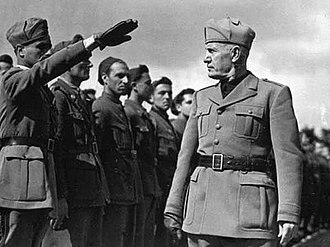 In 1942, they were also last ditch "fighters". The presence of German raiders led to the formation of New Zealand-based combat units—initially rearming types, like the Vildebeest, and hurriedly converting impressed airliners, such as the DH86 to carry bombs. Lockheed Hudsons were obtained early in 1941 to take over this role. No. 5 Squadron with Vickers Vincents and Short Singapores were sent to protect Fiji. In December 1941 Japan attacked and rapidly conquered much of the area to the north of New Zealand. With the apparent threat of imminent invasion New Zealand was forced to look to her own defence, as well as to help the United Kingdom. Trainers and more airliners in New Zealand were camouflaged and armed and various types, such as the North American Harvard, Hawker Hind, Airspeed Oxford and even the de Havilland Tiger Moth, formed shadow bomber, army co-operation and fighter squadrons for use in the event of invasion. Hudsons moved forward into the South Pacific while No. 5 Squadron, at RNZAF Station Laucala Bay in Fiji, commenced operations against the Japanese despite its obsolete equipment. In New Zealand preparations intensified and in 1942 three Groups were established to direct air and, if necessary, air defence operations. Northern Group RNZAF was located at Auckland, Central Group RNZAF at Wellington, and Southern Group RNZAF in/at Christchurch. The vulnerability of New Zealand to Axis naval activity was demonstrated when a submarine-launched Japanese float plane overflew Wellington and Auckland—where it was chased ineffectually by a Tiger Moth. As few combat-capable aircraft were available at home and Britain was unable to help, New Zealand turned to the United States and signed a lend-lease agreement. Gradually at first, America was able to supply New Zealand with aircraft for use in the Pacific Theatre— initially, in 1942, Curtiss P-40 Kittyhawks and additional Harvards and Hudsons. The fall of Singapore led to the evacuated RNZAF pilots, in the RAF there, becoming available in New Zealand and they provided an experienced nucleus around which new fighter squadrons, the first being No. 14 Squadron RNZAF formed at Masterton, were established. 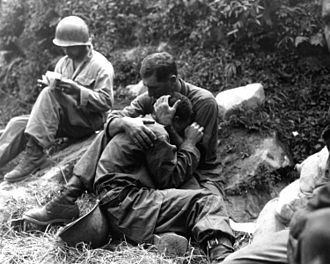 From mid-1943, at Guadalcanal, starting with No. 15 and No. 14 Squadrons, several Kittyhawk units fought with distinction. Several RNZAF pilots became aces against the Japanese, including Geoff Fisken, the Commonwealth's leading ace in the Pacific war. Other squadrons flew the elderly but effective Douglas Dauntless and, later, the modern Grumman Avenger torpedo bomber. From 12 October 1943, as part of Operation Cartwheel, RNZAF aircraft joined an allied air campaign against Japanese held airfields and the port of Rabaul. The RNZAF took on a significant part of the maritime reconnaissance task with Catalina (and later Sunderland) flying boats and Hudson bombers. The role of the RNZAF changed as the allies moved off the defensive. The Americans, leaders of the Allied nations in the Pacific, planned to bypass major Japanese strongholds, instead capturing a handful of island bases to provide a supply chain for an eventual attack on Japan itself. 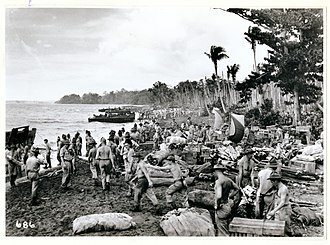 The Allied advance started from the South Pacific. The RNZAF was part of the force tasked with securing the line of advance by incapacitating bypassed Japanese strongholds, for example, Rabaul. As the war progressed the older types were replaced with more powerful modern aircraft; Kittyhawks gave way to Corsairs, Hudsons and Venturas. At the close of war the RNZAF was planning to bring 320 P51Ds into service as part replacement for the F4U. At its peak, in the Pacific, the RNZAF had 34 squadrons — 25 of which were based outside New Zealand and in action against Japanese forces. Thirteen squadrons of Corsairs, six of Venturas, two each of Catalinas and Avengers, two of Dakotas. The RNZAF also had a squadron of Dauntless dive bombers, several mixed transport and communications squadrons, a flight of Short Sunderlands and nearly 1000 training machines. To administer units in the South Pacific, No. 1 (Islands) Group RNZAF was formed on 10 March 1943. In addition to this several hundred RNZAF personnel saw action with RAF squadrons or the FAA in Burma, Singapore and the South Pacific. By 1945 the RNZAF had over 41,000 personnel, including just over 10,000 aircrew who served with the RAF in Europe and Africa. In the post war period the RNZAF dealt progressively with demobilisation and disposal of its large obsolete fleet, rearmament to support the Cold War, some loss of training opportunities with the American suspension of ANZUS Treaty obligations in protest at New Zealand becoming a nuclear free zone, social changes which saw women become combat pilots, and most recently loss of fast jets as part of the continuing funding cuts, that have seen the air force decline from over a thousand aircraft to just fifty. Following the Second World War, No. 14 Squadron RNZAF was sent to Japan as part of the occupation J Force. The rest of the air force rapidly divested itself of aircraft and manpower and settled mainly into training and transport mode before the advent of the rejuvenated No. 14 Squadron RNZAF and No. 75 Squadron RNZAF. 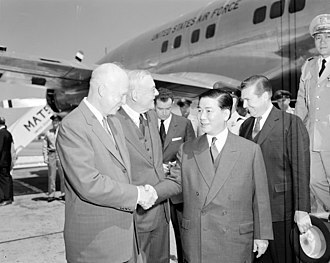 From 1949 Compulsory Military Training reinvigorated the reserve component of the Air Force. The four Territorial squadrons, No. 1 Squadron RNZAF (Auckland), Wellington, Canterbury and No. 4 Squadron, Territorial Air Force, at Taieri Aerodrome, Mosgiel, Otago, were equipped with the 30 Mustangs re-activated from storage, along with a few Tiger Moths and Harvards for each squadron. No. 4 Squadron TAF was active from at least 1951-55. From 1952-57 No. 6 Flying Boat Squadron operated as a Territorial unit at Hobsonville, flying Catalinas and later Sunderlands. A Gloster Meteor arrived in 1945, introducing the jet age. The force was equipped from 1946 with the De Havilland Mosquito before the arrival of De Havilland Vampires. Initially used in peacekeeping in Cyprus and Singapore the Vampires were supplemented by loaned De Havilland Venoms and, later, English Electric Canberras, both of which saw action in the Malayan Emergency and subsequent confrontation with Indonesia. The Chief of Air Staff appointed in June 1962 was Air Vice Marshal Ian G. Morrison, who was to oversee the modernisation of the RNZAF. 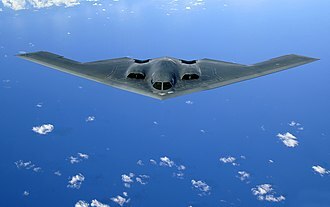 Greener says that Morrison '..saw the three elements of the Air Force—strike capability, transport, and maritime patrol—as being of equal value, and sought improvements in aircraft in each area. He sought a replacement for the Sunderlands and found it in the Orion.' The RNZAF bought its own Canberras in 1962; these were replaced from 1969 with A-4 Skyhawks. In the late 1980s 10 further Skyhawks were obtained from Australia and, under the Kahu (Falcon) programme, the fleet was updated with F-16 avionics, (including APG 66 radar), allowing use of AIM-9L and AGM-65 Maverick missiles and laser-guided bombs. During the 1960s the ageing Vampire fleet was used largely for training and any pretence of maintaining a fighter arm was abandoned when these were replaced with BAC Strikemasters in the early 1970s. When, in the early 1990s these had to be retired due to serious wing fatigue problems, they were replaced in the training role by 18 Aermacchi MB-339s. In the immediate post war period, internal communications and transport and other services were maintained by No. 42 Squadron RNZAF. It supported the Army and Navy using Grumman TBM-1 Avengers (to tow drogue targets for gunnery), the Territorial Air Force's North American P-51D Mustangs and North American Harvards, the VIPs with De Havilland Devons, also used for support, communications and multi-engine conversion training, and Dakotas for VIP and communications support. De Havilland Canada DHC-2 Beaver, De Havilland Canada DHC-3 Otter and Auster types helped to explore Antarctica. A research flight helped develop Aerial Topdressing. Later, Hawker Siddeley Andover and Cessna 421C Golden Eagle aircraft were used for transport and VIP duties. 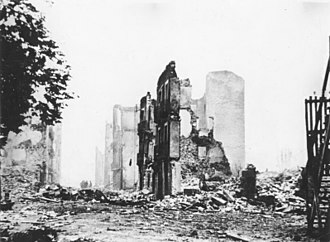 After the war, Nos. 5 and 6 Squadrons traded their lend-lease Catalinas for Short Sunderland MR5s operating in maritime patrol and search and rescue roles from Hobsonville and Laucala Bay, Fiji. 6 Squadron was disbanded and 5 Squadron received P-3B Orions in 1965. Transport aircraft such as the Douglas C-47 Dakota, Bristol Freighter, De Havilland Devon, Handley Page Hastings, Douglas DC-6, C-130 Hercules, Andover, Boeing 727 and Boeing 757 were operated by Numbers 1, 40, 41 and 42 Squadrons. 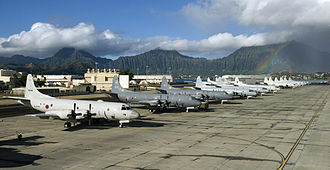 Transports flew in support of the Army, Navy and other allied military and civil forces in the Malayan Emergency, Korean War, Vietnam War, the Gulf War and the US and NATO led operations in Afghanistan. 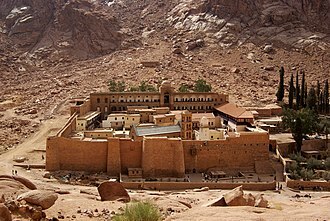 They also supported several UN missions such as UNTAET while carrying out peacetime tasks for governmental and civilian purposes. No. 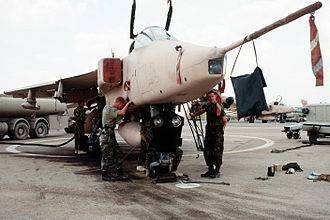 1 Squadron was deactivated in December 1984, and its Andovers were transferred to No. 42 Squadron. The Bell 47 introduced the helicopter to the RNZAF and the Bell UH-1 Iroquois of 3 Squadron went to the Sinai and East Timor, while Westland Wasp and Kaman SH-2 Seasprite helicopters were also operated by the squadron. Through much of the postwar period the RNZAF was administered through two groups. Operations Group RNZAF at Auckland at one time supervising Strike, Transport and Maritime Operations Wings. Operations Group was formed on 1 July 1965, initially under the command of Air Commodore K.W. Trigance. At RNZAF Station Wigram in the outskirts of Christchurch was Training Group RNZAF, active by May 1948. 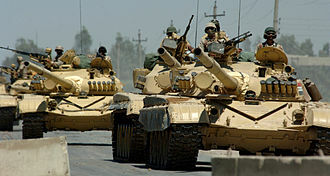 It was operational to the early 1970s at least, responsible for training and support. On 1 June 1972, Training Group become Support Group RNZAF, which included the Command and Staff College, No. 1 Technical Training School, the Aerospace Medical Unit, and No. 1 Stores Depot RNZAF at RNZAF Te Rapa. Later No. 1 Repair Depot RNZAF at RNZAF Base Woodbourne joined the organisation. RNZAF Boeing 727 in 2001. Following the end of the Cold War, Minister of Defence Bob Tizard's term of office saw the RNZAF begin to consolidate its facilities. RNZAF Te Rapa north of Hamilton closed in 1992. On 14 September 1995, the closing parade was held for the first established RNZAF airfield, RNZAF Station Wigram in Christchurch. RNZAF Shelly Bay, located on Wellington's Miramar peninsula also closed. On 30 April 1995 Operations Group and Support Group were brought together to form RNZAF Air Command, under the leadership of an air commodore. Air Command was itself disbanded in 2001 when the post became the Air Component Commander at Headquarters Joint Forces New Zealand, located at Trentham, Upper Hutt. The helicopter and former seaplane base RNZAF Hobsonville was sold to Housing New Zealand, and is being redeveloped as a residential area by the Hobsonville Land Company. Initially the RNZAF remained a tenant on the land, however all remaining units based there have now relocated to other defence sites. Plans to close RNZAF Whenuapai (and consolidate all operations to Ohakea) made by the previous government, were overturned in March 2009. As of 2010[update], the RNZAF maintain 3 Air Bases (Whenuapai, Ohakea, Woodbourne) and Air Movements Terminals located at Wellington International Airport, and Christchurch International Airport. In 1999, the National Government selected an order of 28 F-16A/B Fighting Falcon aircraft to replace the fleet of A-4 Skyhawks but this procurement was cancelled in 2001 following election by the incoming Labour Government under Helen Clark. This was followed by the disbanding of No 2 and No 75 Skyhawk squadrons and the No 14 Aermacchi squadron, removing the RNZAF's air combat capability. Subsequently, most of the RNZAF's fighter pilots left New Zealand to serve in the Royal Australian Air Force and the Royal Air Force. By 2003 the RNZAF was reduced to a total of 53 aircraft and 2,523 personnel (including civilian employees). In 2005 the New Zealand Ministry of Defence selected the NHI NH90 helicopter to replace the RNZAF's ageing fleet of 14 UH-1H Iroquois. The NZ government allocated NZ$550 million to replace the Iroquois and a small fleet of Bell 47 (Sioux) training helicopters. In late 2005 the government announced that the surviving A-4Ks and Aermacchi MB-339Cs, 17 of each type, (not counting A-4s in museums), were to be sold to US company Tactical Air Systems for use in jet training, subject to the US government approval. Tactical Air Systems announced RNZAF colour schemes would be preserved, "out of respect for the history and traditions of the RNZAF". The US State Department expressed concerns about having two squadrons of combat jets operating over the US in private hands so the aircraft were put into storage at Woodbourne. 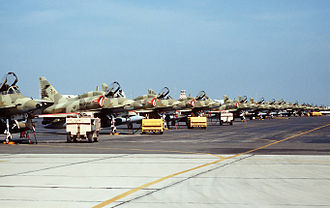 The Aermacchi fleet is still in flying condition but the A-4K fleet was covered in protective latex and moved to outside storage in 2007 to make way for the C-130H upgrade. It is most likely that the A-4Ks will be donated to museums or remain at RNZAF Base Woodbourne for training purposes for RNZAF Technicians, as the cost of refurbishing them (estimated at $34 million) was deemed too expensive by the government. In November 2011, a private defence contractor in the United States, Draken International, purchased eight of the stored RNZAF A-4K Skyhawks and nine of the Aermacchi MB-339s. The aircraft are utilised for commercial air services as an adversary squadron. 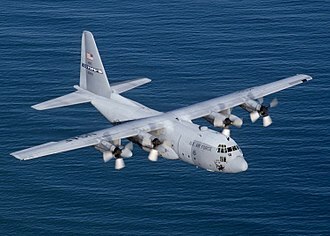 New Zealand took an option to purchase C-130J Hercules from Lockheed Martin as a part of an Australian purchase in the late 1990s but following the 1999 election the new Labour government decided not to proceed with the purchase. Instead a NZD$226m service life extension programme (LEP) was arranged with L3 Spar Aerospace of Canada in 2004. This involved replacement of various mechanical, avionic, and structural components, and the design and installation of flight deck communications and navigation improvements to meet evolving air traffic management regulations. The first aircraft was modified in Canada with the rest to be modified by the Air New Zealand subsidiary, Safe Air, in Blenheim, New Zealand. Safe Air has since dropped the contract, causing the Ministry of Defence to form a team of contractors and RNZAF supervisors to finish the LEP project. The LEP will see the C-130 Hercules with the most flying hours in the world remain in use until about 2025. Since 2001, RNZAF P-3K Orions and C-130 Hercules have made periodic deployments in support of Operation Enduring Freedom and the International Security Assistance Force in Afghanistan. 40 Squadron Boeing 757-200 and C-130H Hercules flanked by 5 Squadron P-3K Orions breaking formation during the Whenuapai air show in March 2009. The Naval Support Flight was separated from 3 Squadron to re-form 6 Squadron in October 2005. In October 2007 the government announced it had selected the Agusta A109 as the preferred replacement for the Sioux helicopters. Defence Minister Phil Goff declared "In common with the Seasprite helicopter already in service and the eight new NH-90s on order for the RNZAF, the A109 is wheeled and capable of deployment from our Navy vessels". Chief of Air Force, Air Vice-Marshal Graham Lintott, said the A109 "will provide an effective platform to train aircrew in basic helicopter operations plus the advanced skills required to operate both the Navy SH-2G Seasprite and the highly capable RNZAF NH90 helicopter that will come into service in 2010." In 2008 the Defence Minister expressed the desire to return to service all 17 Aermacchi trainers to supplement Army and Navy operations. Prime Minister John Key said at the time that it was extremely unlikely that any jet training would be restored in 2010. In recent years the RNZAF has been involved in a number of domestic incidents, especially natural disasters that have hit the region. Following the 2009 Samoa earthquake and tsunami the RNZAF deployed several P-3 Orions initially to assess the damage and search for bodies in the immediate aftermath of the incident. The day after the tsunami a C-130 Hercules carrying mobile morgues, medical staff and supplies to the area helped with recovery efforts. 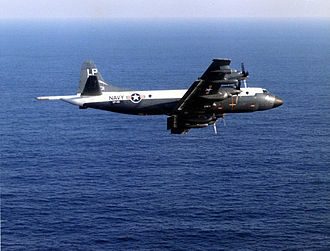 Following this the RNZAF worked closely with the Royal Australian Air Force (RAAF), the US Navy and US Air Force to provide airlifts and supply drops for several weeks after the disaster. RNZAF also provided assistance on the ground in both Samoa and Tonga. The RNZAF and Air New Zealand also arranged for the evacuation of all tourists from Samoa to Auckland. In the aftermath of the 2010 Canterbury earthquake on 4 September 2010 a C-130 Hercules transported Search and Rescue Teams from Whenuapai Air Base to Christchurch that morning to aid in relief efforts. This was followed later in the afternoon by the deployment from Ohakea Air Base of two Iroquois Helicopters which provided aerial reconnaissance and damage assessments. Due to disrupted supplies at Christchurch Airport an RNZAF fuel tanker was also despatched from Ohakea Air Base to supply these aircraft. Responding to the February 2011 Christchurch earthquake the RNZAF deployed three C-130 Hercules, two Boeing 757s, a P-3 Orion, three Beechcraft B200 aircraft and three Bell UH-1H helicopters to assist the people of Christchurch. The aircraft flew around the clock to deploy police and medical personnel. C-130s and B757s also acted as aero-medical aircraft and evacuated victims and tourists to Wellington and Auckland in the North Island. This was the single biggest movement of personnel and freight by the RNZAF in its history. C-130s from the RAAF and RSAF were also deployed to the area and worked in conjunction with the RNZAF. In December 2011 the Russian fishing vessel Sparta struck an iceberg in the Ross Sea, RNZAF C-130s made two flights from New Zealand to McMurdo Station in Antarctica, air-dropping supplies to the crew en route. In 2013 the RNZAF sent one C-130 Hercules to the Philippines after a hurricane for disaster relief and evacuation of locals. Following the disappearance of Malaysian Airlines flight MH-370 in March 2014, an RNZAF P-3K2 Orion was deployed to RAAF Base Butterworth to assist with the search for the Boeing 777. The Orion aircraft and crew was then re-tasked and conducted their operations from RAAF Base Pearce near Perth, Western Australia, searching the Southern Indian Ocean for MH-370 alongside other international aircraft and crews. To safeguard trade routes from the threat of piracy, a P-3K2 Orion was deployed to the Middle East from July 2014 until December 2015. The Orion conducted anti-piracy and maritime surveillance activities in support of the Combined Maritime Forces coalition in the region. Responding to Cyclone Winston that devastated Fiji in February 2016 the RNZAF deployed a P-3 Orion, C-130 Hercules and Boeing 757, and two NH-90s aboard HMNZS Canterbury. Specialist NZ Fire Service teams and NZ Army engineers flew to Fiji in the Boeing 757. In response to the 2016 Kaikoura earthquake the magnitude 7.8 earthquake devastated North Canterbury and Kaikoura. The RNZAF deployed four NH-90 helicopters, C-130 Hercules, and a P-3K2 Orion for survey damage. The RNZAF NH-90s were tasked with evacuating over 1000 tourists and transporting food and supplies to the town of Kaikoura and surrounding areas. The US Navy and Royal Malaysian Air Force also offered helicopters to assist with the evacuation of tourists and transportation of rescue personnel. 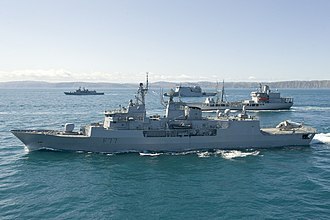 The Royal New Zealand Navy's multi-role vessel HMNZS Canterbury and off-shore patrol vessel HMNZS Wellington were deployed to Kaikoura to provide aid supplies and evacuate people. HMCS Vancouver, HMAS Darwin and USS Sampson, in New Zealand waters for the RNZN's 75th birthday celebrations in Auckland, were redirected by their respective governments to assist. Nearly 200 people had been airlifted out of Kaikoura by late evening on 15 November, with about 1,000 still to be evacuated on the following morning. The RNZAF's force operates in conjunction with the rest of the New Zealand Defence Force. The chain of command runs from Defence Force headquarters at Aitken Street in central Wellington to Headquarters Joint Forces New Zealand (HQ JFNZ) at Trentham in Upper Hutt. Under the Commander Joint Forces New Zealand (a rear admiral, air vice marshal, or major general, depending on rotation) is the Air Component Commander, an Air Commodore. The Air Component Commander directs the RNZAF through the triservice staff of HQ JFNZ. No. 485 Wing RNZAF, established at RNZAF Base Auckland on 1 July 2002, supervises the operational squadrons. It draws its heritage from the former Strike Wing, which parented 14 and 75 Squadrons at RNZAF Base Ohakea for many years. Strike Wing adopted its badge from the former No. 485 Squadron RAF of the Second World War. When Strike Wing disbanded with the retirement of the Skyhawks, a new name had to be found for the supervisory wing, as Strike Wing at Ohakea was to merge with the Operations Wing in Auckland. The result was that the World War II numbering of the original squadron was chosen. Nos 485 and 488 Wings were disestablished in early 2015 and effectively replaced by Base Commanders. Woodbourne was the first base to make the change, synchronised with a routine change of command; Ohakea and Auckland followed. As part of the same reorganisation, the headquarters of No. 209 (Expeditionary Support) Squadron was disestablished, and RNZAF Security Forces, Air Movements, Aviation Refuelling, RNZAF Rescue Fire, Base Medical Flight, Survival Training Centre and other sub-units reassigned into what is now known as Operations Squadron. Some notable combat aircraft that were operated by the air force consisted of the de Havilland Vampire, BAC Strikemaster, A-4K/TA-4K Skyhawk and the CT-4 Airtrainer. Transport aircraft were the Bristol Type 170, C-47 Dakota, Boeing 727, and the Short Sunderland. Helicopters consisted of the Westland Wasp, Bell 47G and the Bell UH-1H. 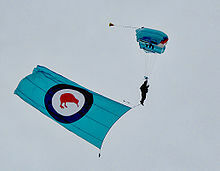 A member of the RNZAF Parachute Training and Support Unit trails the paratrooper flag during the air show at Whenuapai in March 2009. The RNZAF ensign was approved in 1939, based on the ensign of the Royal Air Force, with the letters "NZ" inserted within the roundel. 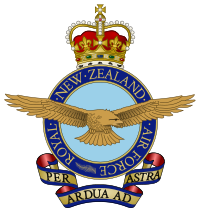 Until the 1950s NZPAF and RNZAF aircraft flew with Royal Air Force roundels; sometimes only the "NZ" prefix to the serial number revealed its nationality within the Commonwealth. A white kiwi or silver fern on a black background or a New Zealand flag frequently appeared on RNZAF aircraft, and also on RAF aircraft with NZ aircrew. Map outlines of New Zealand with a Kiwi superimposed appeared on the tails of Canberras flown from Singapore in the Malayan Emergency; Venoms used in the conflict had a white kiwi on a black tail. From the mid-1950s RNZAF roundels were modified by a fern frond within the inner red circle. 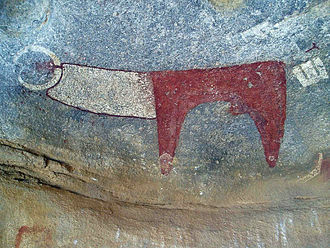 Several colours were tried, including green, gold and finally white. The first two were too difficult to spot and the last looked too much like a white feather that further attempts with ferns were dropped and the Kiwi bird was adopted at the end of the 1960s. To assist camouflage in the 1980s the white was sometimes eliminated, giving a red kiwi within a blue circle (e.g. on Hercules, Aermacchis and Skyhawks). The kiwi roundel is now frequently a black circle around a black kiwi (Hercules, Iroquois) or two-tone grey (Orion, Sea Sprite). The nose is always forward and on wings the legs are inwards, towards to the fuselage. An identity card issued to all ranks during World War II. This one belonged to RNZAF WAAF Judith Copeland. Junior Ranks: Recruit, Aircraftman, Leading Aircraftman. Non-Commissioned Officers: Corporal, Sergeant, Flight Sergeant, Warrant Officer. Commissioned Officers: Officer Cadet, Pilot Officer, Flying Officer, Flight Lieutenant, Squadron Leader, Wing Commander, Group Captain, Air Commodore, Air Vice Marshal, Air Marshal. RNZAF service dress uniform is deep blue in colour with light blue coloured rank worn on the sleeves of the uniform. There are many variations of the uniform that RNZAF personnel wear during the course of their duties. Since 2010 the shoulder identifier says "ROYAL NEW ZEALAND AIR FORCE", this was to correct a perceived confusion with the uniform of the New Zealand Police, despite many other more obvious differences. In March 2015 the RNZAF began trialling a two piece blue uniform. This uniform is designed to replace personnel wearing Disruptive Pattern Material (DPM) which has been in service since the 1980s. As of March 2016, GPU had become the primary working dress for the RNZAF, replacing the DPM uniform. The new GPU uniform is to distinguish the RNZAF from NZ Army personnel of which there tended to be some confusion from the general public due to the same DPM uniform being worn. When deployed overseas on missions RNZAF ground personnel wear the Multiterrain Camouflage Uniform more commonly known as MCU. In 2016 as part of the Air Warrior project, RNZAF aircrew began trialling MultiCam uniform to replace the DPM variant they have been using since the late 1980s. Trials for the uniform will be completed in 2016. For all flying duties aircrew wear a Nomex flame retardant green coloured one or two piece flight suit. Operations to a desert environment see aircrew wear a sand coloured version of the green uniform. ^ "Personnel Summary". New Zealand Defence Force. 13 February 2019. Archived from the original on 6 September 2018. Retrieved 21 February 2019. ^ "Aircraft". RNZAF. Archived from the original on 15 January 2019. Retrieved 22 February 2019. ^ "The Post War Years". RNZAF. Archived from the original on 23 January 2016. Retrieved 28 January 2016. ^ "NZDF - Governance Structure". www.nzdf.mil.nz. Archived from the original on 31 July 2017. Retrieved 30 July 2017. ^ "New Chiefs Appointed for All Three Branches of the Armed Forces". The New Zealand Herald. 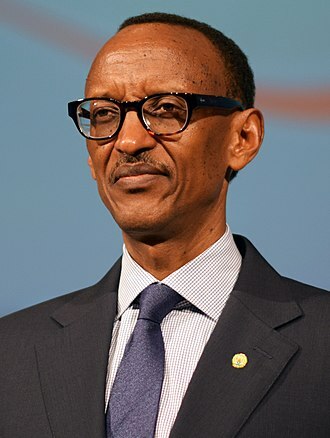 21 August 2018. Archived from the original on 11 September 2018. Retrieved 11 September 2018. ^ "Air Force News Issue 180" (PDF). May 2016. Archived (PDF) from the original on 7 August 2016. Retrieved 29 May 2016. ^ Warrant Officer Wal Wallace (September 2009). "New Māori Name for Air Force". Air Force News. RNZAF (107). ISSN 1175-2327. Archived from the original on 8 February 2013. Retrieved 9 October 2012. ^ "2016 Defence White Paper". Ministry of Defence. Ministry of Defence. 8 June 2016. p. 86. Archived from the original on 28 June 2011. Retrieved 8 June 2016. ^ "What Is The RAF motto". Archived from the original on 2 May 2010. Retrieved 9 May 2010. ^ a b Saunders, 1986, 14. 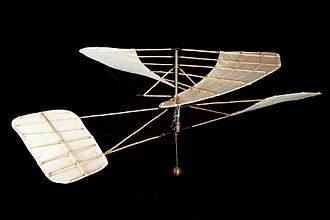 ^ "New Zealand History: First controlled powered flight in New Zealand". Archived from the original on 18 September 2016. Retrieved 4 February 2017. ^ James Saunders, A Long Patrol: An Illustrated History of No. 1 Squadron RNZAF 1930-1984, 1986, 15. ^ "Golden Years of Aviation - Imperial Gifts". Goldenyears.ukf.net. Archived from the original on 2 February 2016. Retrieved 23 June 2012. ^ a b Royal New Zealand Air Force, History Archived 25 October 2012 at the Wayback Machine, accessed November 2012. ^ Peter Cooke, Defending New Zealand, Defence of New Zealand Study Group, 2000, Vol. II, 527-534. ^ Ross, Squadron Leader J. M. S. (1955). "Formation of No. 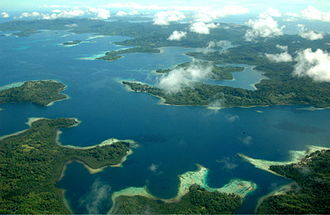 1 (Islands) Group Headquarters". The Official History of New Zealand in the Second World War 1939–1945. Historical Publications Branch. Archived from the original on 16 September 2009. Retrieved 26 January 2010. ^ McClure. Pages 130 to 133. ^ "RNZAF [Royal New Zealand Air Force] Training Group, Headquarters, Wigram - May 1948 - June 1967 (R21072597)". Archway Record. Archives New Zealand. Archived from the original on 13 July 2015. Retrieved 13 July 2015. ^ Auckland Star, 20 October 1967; 24 October 1967; Air Commodore A.S. Agar is to be the next Air Officer commanding the RNZAF's training group. NZ Official Yearbook 1972 Archived 23 January 2015 at the Wayback Machine. The New Zealand Official Yearbook 1974 lists both Operations and Support Groups, but goes on to mention Training Group as well, which appears to be a typographical error. ^ Portrait of an Air Force, 154. ^ "RNZAF Waikato & Bay of Plenty Area". Archived from the original on 7 February 2013. Retrieved 11 April 2013. ^ "Virtual Museum - New Zealand Aviation Books By Author from N to Z". warbirdsite.com. Archived from the original on 12 February 2015. Retrieved 1 November 2012. ^ "Hobsonville Land Company". 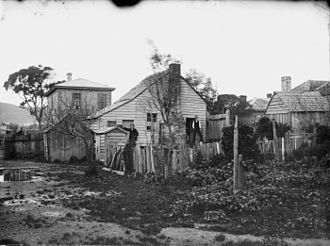 Hobsonville Land Company. Archived from the original on 6 November 2011. Retrieved 2 October 2011. ^ "Cabinet confirms plans for Whenuapai". Scoop. 31 March 2009. Archived from the original on 15 September 2009. Retrieved 26 January 2010. ^ Aronson, Cathy (21 May 2001). "RAF looks to snap up NZ Skyhawk pilots". Archived from the original on 31 July 2017. Retrieved 19 July 2017. and "Review of the Options for an Air Combat Capability (February 2001)". New Zealand Ministry of Defence. Retrieved 19 July 2017. ^ "C-130 Hercules upgrade contract signed". Scoop. 15 December 2004. Archived from the original on 16 September 2009. Retrieved 26 January 2010. ^ "C-130 Life Extension". New Zealand Ministry of Defence. Archived from the original on 13 May 2010. Retrieved 26 January 2010. ^ "Lift-off for negotiations on new copters". The New Zealand Herald. 31 October 2007. Retrieved 26 January 2010. ^ "Air Force Helicopter Replacement Announced". RNZAF. 30 October 2007. Archived from the original on 15 September 2009. Retrieved 26 January 2010. ^ "Air Force's Aermacchis may be returned to service". The New Zealand Herald. 1 December 2008. Archived from the original on 23 May 2011. Retrieved 26 January 2010. ^ "John Key shoots down return of air strike capability". The New Zealand Herald. 2 December 2008. Archived from the original on 20 October 2012. Retrieved 16 June 2009. ^ "Stranded Russian ship receives NZ air drop supplies". BBC. 17 December 2011. Archived from the original on 8 January 2012. Retrieved 2 January 2012. ^ "NZDF - Orion arrives home from Middle East Deployment". nzdf.mil.nz. Archived from the original on 23 January 2016. Retrieved 18 October 2015. ^ "HMNZS Canterbury sent to Kaikoura". The New Zealand Herald. 14 November 2016. Archived from the original on 14 November 2016. Retrieved 14 November 2016. ^ "Fleet of international warships to help out with earthquake response". New Zealand Herald. 15 November 2016. ISSN 1170-0777. Archived from the original on 15 November 2016. Retrieved 15 November 2016. ^ "Nearly 200 people airlifted from Kaikoura as evacuations continue". yahoo.com. Archived from the original on 21 December 2016. Retrieved 30 July 2017. ^ Air Force Magazine, Issue 91 Archived 23 May 2010 at the Wayback Machine. 485 A Number to Remember, by Squadron Leader Les Matthews. 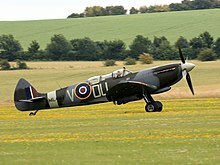 ^ Stuff.co.nz, Spitfire display marks Air Force changes Archived 24 September 2015 at the Wayback Machine, 3 March 2015. ^ "No. 42 Squadron". Royal New Zealand Air Force. Archived from the original on 15 January 2019. Retrieved 31 March 2019. ^ a b c d e f g "World Air Forces 2017". Flightglobal Insight. 2017. Archived from the original on 29 July 2017. Retrieved 25 May 2017. 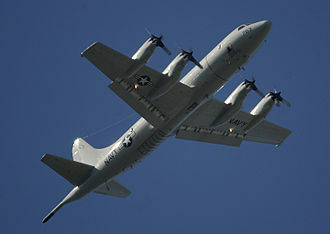 ^ "Wellington confirms deal for four P-8A Poseidons". flightglobal.com. Archived from the original on 13 July 2018. Retrieved 7 July 2018. ^ "The NH90 Helicopter". Royal New Zealand Air Force. Archived from the original on 5 August 2015. Retrieved 30 July 2015. ^ Jennings, Gareth (30 October 2014). "New Zealand receives final NH90 helo". IHS Jane's 360. Archived from the original on 12 September 2015. Retrieved 30 July 2015. 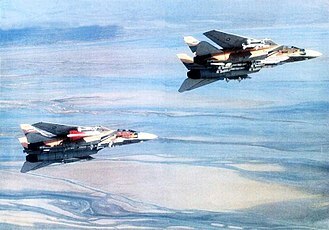 ^ "World Air Forces 1987 pg. 74". flightglobal.com. Archived from the original on 9 January 2015. Retrieved 4 May 2015. ^ "World Air Forces 1955 pg. 651". flightglobal.com. Archived from the original on 10 June 2015. Retrieved 4 May 2015. ^ "RNZAF Huey embarks on final domestic tour". flightglobal.com. Archived from the original on 10 June 2015. Retrieved 9 June 2015. Bentley, Geoffrey (1969). RNZAF - A Short History (Hardback). Wellington: A.H. & A. W. Reed. pp. 268 pages. McClure, Margaret (2012). Fighting Spirit - 75 Years of the RNZAF (Hardback). Auckland: Random House. pp. 336 pages. ISBN 978-1-86979-610-5. Sanders, James: A Long Patrol, An Illustrated History of No 1 Squadron RNZAF, 1986, Century Hutchinson, Auckland, ISBN 0-09-163600-0. 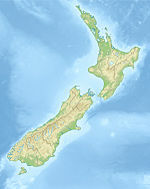 Wikimedia Commons has media related to Royal New Zealand Air Force. 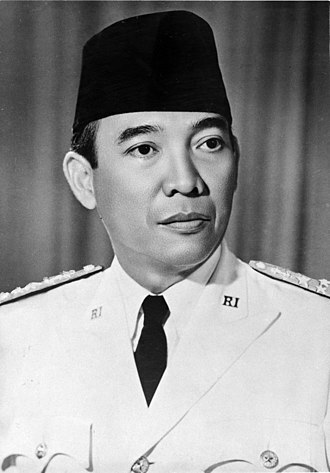 Malayan Emergency was the colonial governments term for the conflict. 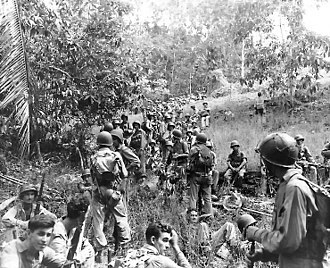 The MNLA termed it the Anti-British National Liberation War, the rubber plantations and tin-mining industries had pushed for the use of the term emergency since their losses would not have been covered by Lloyds insurers if it had been termed a war. 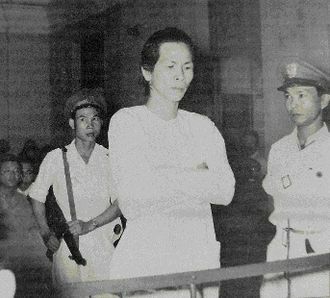 Despite the communists defeat in 1960, communist leader Chin Peng renewed the insurgency against the Malaysian government in 1967 and he fled to exile in Thailand, where he lived until his death on 16 September 2013. The Malayan economy relied on the export of tin and rubber, when the British took control of the Malayan economy, they imposed taxes on some Malayan goods, affecting their traditional industries. This led to an increase in poverty for the Malayan people, many Chinese people found employment in tin mines or fields responsible for the trade of materials. This heightened inter-ethnic tensions as the Malay people found that ethnic Chinese had replaced them in certain jobs and this forced many Malays into the rubber industry, which in turn was heavily dependent upon volatile world prices. 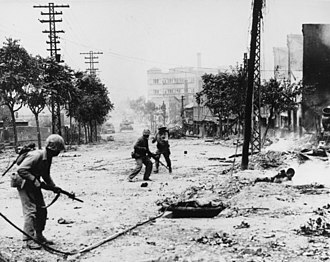 Economic tension intensified during the Second World War. The Japanese occupation of Malaya began in 1941 and from that point onwards the “export of primary products was limited to the small amounts required for the Japanese economy. ”This led to large areas of rubber plantations being abandoned. The latter was progressively affected by a shortage of parts for machines. Rice imports, which made up a portion of the Malayan diet, fell rapidly due to limited trade. Many people believed that the British would soon return and ‘save’ them so they did not attempt to learn the skills that would be essential for survival. 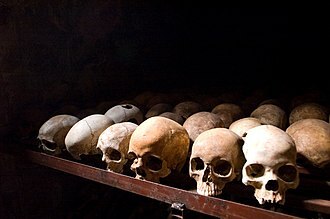 This led to famine in Malaya from 1942. 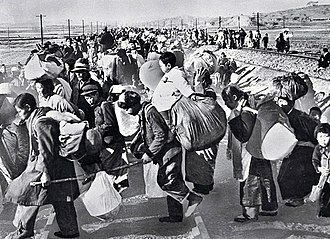 The withdrawal of Japan at the end of World War II left the British Malayan economy disrupted, problems included unemployment, low wages, and high levels of food inflation, well above the healthy rate of 2–3%. 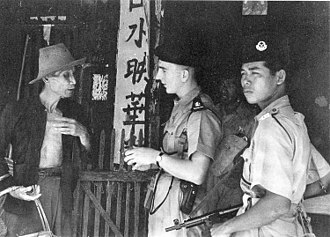 The Malayan Communist Party began to use the failing economy as a tool of propaganda against the British, the British had not addressed the underlying economic problems that were now worse within Malaya than they had ever been. The Governor-General of New Zealand is the viceregal representative of the monarch of New Zealand, currently Queen Elizabeth II. The office is mandated by letters patent and the officeholder is formally titled the Governor-General, when travelling abroad, the governor-general is seen as the representative of New Zealand, and of the Queen of New Zealand. For this reason, the governor-general is viewed by some as the de facto head of state, under the Niue Constitution Act, the governor-general represents the monarch in Niue. The governor-general initially represented the British monarch and the government of the United Kingdom, many officeholders have been British statesmen. In 1972, Sir Denis Blundell became the first New Zealand resident to be appointed to the office, governors-general are not appointed for a specific term, but are generally expected to serve for five years. The current Governor-General is Dame Patsy Reddy, who has served since 28 September 2016, administrative support for the governor-general is provided by the Department of the Prime Minister and Cabinet. Appointment to the Office is made by the Queen on the advice of the Prime Minister of New Zealand, the Prime Ministers advice has sometimes been the result of a decision by Cabinet, although there is no requirement for this. The appointment of Anand Satyanand met with the approval of every leader in the House of Representatives, by convention the Leader of the Opposition is consulted on the appointment, however this too has not always been the case. 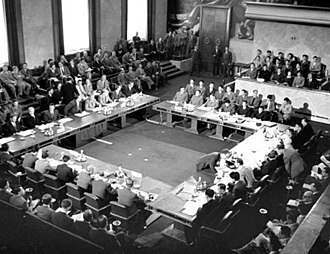 This suggestion was in turn criticised by the Government, as Sir Edmund had backed Labour in 1975 as part of the Citizens for Rowling campaign, the right granted by the convention was not exercised directly by a New Zealand Prime Minister until 1967. 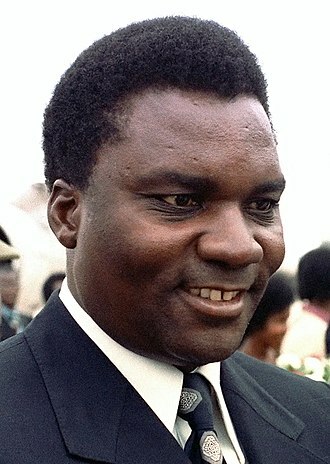 Although non-partisan while in office, there have been a number of appointments of Governors-General to the office that have attracted considerable controversy, despite their political backgrounds, neither of these appointments could be said to have discharged their duties in a partisan way. 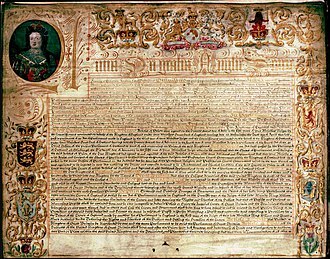 There has often been speculation that a member of the Royal Family might take up the position, before the Governor-General enters office, his or her commission of appointment is publicly read in the presence of the Chief Justice of New Zealand and the members of the Executive Council. 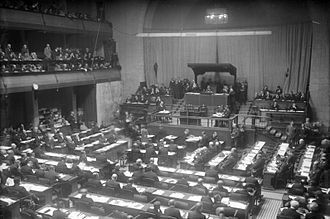 The Governor-General must take the Oath of Allegiance and the oath for the due execution of the office, from time to time, there have been proposals to elect the Governor-General. 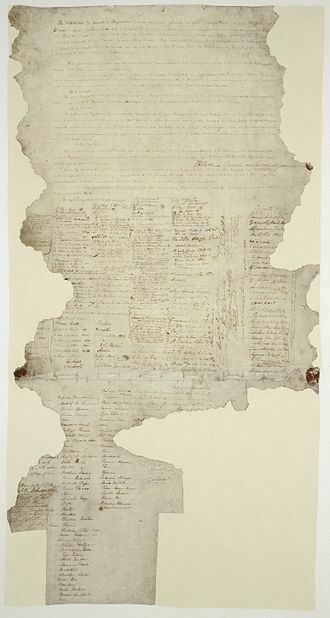 When first drafted by Governor George Grey, the New Zealand Constitution Act 1852 contained provision for the Governor to be elected by New Zealands Parliament. This provision was removed from the enactment, probably because the Colonial Office wanted to keep a check on New Zealands colonial government. In 1887 Sir George Grey, by also a former Premier, the Bill was narrowly defeated 46–48, being opposed by the government of Harry Atkinson. In 2006 political commentator Colin James suggested that the Governor-General could be elected by a 60% majority of votes cast in Parliament, James argued that the New Zealand public should be given the ability to choose the Queens representative, and that the current system is undemocratic and not transparent. National MP Nikki Kaye queried whether several one-member parties in parliament could veto the decision, the Republican Movement responded that the method would ensure appointments were made that most MPs and parties found acceptable. The AgustaWestland AW109 is a lightweight, twin-engine, eight-seat multi-purpose helicopter built by the Italian manufacturer Leonardo. The rotorcraft had the distinction of being the first all-Italian helicopter to be mass-produced, developed as the A109 by Agusta, it originally entered service in 1976 and has since been used in various roles, including light transport, search-and-rescue, and military roles. The AW109 has been in production for 40 years. The AgustaWestland AW119 is a derivative of the AW109, the difference being that it is powered only by a single engine instead. In the late 1960s, Agusta designed the A109 originally as a commercial helicopter. However, it was realised that a twin-engine design was needed. A projected military version was considered early on but Agusta initially chose not to pursue immediate development, the first of three prototypes made its maiden flight on 4 August 1971. On 1 June 1975, certification for visual flight rules upon the A109 was received from the Federal Aviation Administration, in 1976, deliveries of production A109 to customers began. Advantages over the then-market leading Bell 206 were the A109s superior speed, twin-engine redundancy, two military versions emerged from this program, one was intended for light attack/close support missions and the other for shipboard operations. Improved civil versions quickly followed on from the production model, in 1981. According to AgustaWestland, the A109 Power was in service in 46 countries by 2008, in 2006, an enlarged variant, the A109S Grand, was introduced. The Agusta A109 was renamed the AW109 following the July 2000 merger of Finmeccanica S. p. A. and GKN plcs respective helicopter subsidiaries Agusta, since the mid-1990s, fuselages for the AW109 have been manufactured by PZL-Świdnik, which became a subsidiary company of AgustaWestland in 2010. In June 2006, the 500th fuselage was delivered by PZL-Świdnik, in February 2014, AgustaWestland revealed that it was developing the AW109 Trekker, an updated variant of the AW109. The Trekker reportedly advances upon the standard AW109s utility capabilities, as per prior AW109 versions, the final assembly of the Trekker is undertaken at sites in both the US and Italy. The NHIndustries NH90 is a medium-sized, twin-engine, multi-role military helicopter. It was developed in response to NATO requirements for a helicopter which would be capable of being operated in naval environments. The NH90 was developed and is manufactured by NHIndustries, a collaborative company, the first prototype conducted its maiden flight in December 1995, the type first entered operational service in 2007. As of January 2017, the NH90 has logged 127,000 flight hours in the forces of thirteen nations. The NH90 has the distinction of being the first production helicopter to feature entirely fly by wire flight controls, in early service, the NH90 has suffered several teething issues, which has in turn delayed active deployment of the type by some operators. In 1985, West Germany, the Netherlands, the United Kingdom left the team in 1987. On 1 September 1992, NH Industries signed an NH90 design-and-development contract with NAHEMA and this agency represented the four participating nations, Germany and the Netherlands. 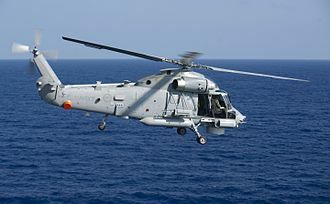 Portugal joined the agency in June 2001, design work on the helicopter started in 1993. 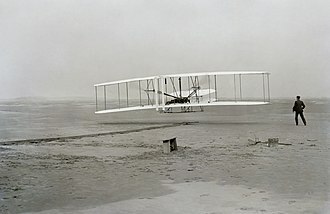 The first prototype, PT1, made the types first flight on 18 December 1995, the second prototype, PT2, first flew on 19 March 1997 and the third prototype, PT3, on 27 November 1998. On 12 December 2002, PT3 became the first helicopter to fly exclusively with fly-by-wire controls following the removal of mechanical back-up controls, the NH90 was developed into two main variants, the Tactical Transport Helicopter and the NATO Frigate Helicopter. These two main variants share about 75% commonality with each other, many of the operators have requested specific configurations to their own helicopter fleets, thus each nations NH90 is effectively customized to the end-users requirements. During the development phrase of the programme in the 1990s, both technical and funding problems were experienced, in June 2000, the partner nations placed a large production order, worth US$8.6 billion, for a total of 366 helicopters. 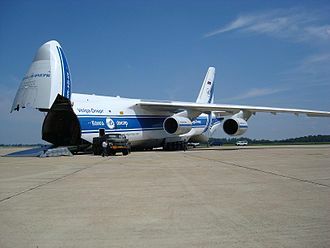 A cargo aircraft is a fixed-wing aircraft that is designed or converted for the carriage of cargo rather than passengers. 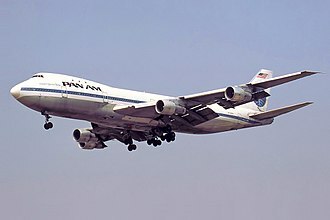 Such aircraft usually do not incorporate passenger amenities and generally one or more large doors for loading cargo. Freighters may be operated by passenger or cargo airlines, by private individuals or by the armed forces of individual countries. Cargo aircraft represent a small proportion of the air freight market. The majority is carried in special ULD containers in the holds of normal passenger aircraft. Aircraft were put to use carrying cargo in the form of air mail as early as 1911, although the earliest aircraft were not designed primarily as cargo carriers, by the mid-1920s aircraft manufacturers were designing and building dedicated cargo aircraft. The Vickers Vernon, a development of the Vickers Vimy Commercial, in February 1923 this was put to use by the RAFs Iraq Command who flew nearly 500 Sikh troops from Kingarban to Kirkuk in the first ever strategic airlift of troops. The Victorians helped to pioneer air routes for Imperial Airways Handley Page HP.42 airliners, the World War II German design, the Arado Ar 232 was the first purpose built cargo aircraft. The Ar 232 was intended to supplant the earlier Junkers Ju 52 freighter conversions, most other forces used freighter versions of airliners in the cargo role as well, most notably the C-47 Skytrain version of the Douglas DC-3, which served with practically every Allied nation. This aircraft, like most of its era, used tail-dragger landing gear caused the aircraft to have a decided rearward tilt when landed. A similar rear loading ramp even appeared in a different form on the nosewheel gear-equipped. Postwar Europe served to play a role in the development of the modern air cargo. To rapidly supply the numbers of aircraft, many older types. In operation it was found that it took as long or longer to unload these older designs as the much larger tricycle landing gear Douglas C-54 Skymaster which was easier to move about in when landed. The Beechcraft T-6 Texan II is a single-engine turboprop aircraft built by the Raytheon Aircraft Company. A trainer aircraft based on the Pilatus PC-9, the T-6 has replaced the Air Forces Cessna T-37B Tweet, the T-6A is used as a basic trainer by the Royal Canadian Air Force, the Greek Air Force, the Israeli Air Force, and the Iraqi Air Force. 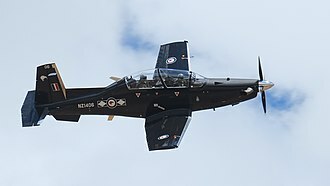 The T-6B is the trainer for U. S. The T-6C is used for training by the Royal Moroccan Air Force, the Royal New Zealand Air Force, the T-6 is a development of the Pilatus PC-9, modified significantly by Beechcraft to enter the Joint Primary Aircraft Training System competition in the 1990s. 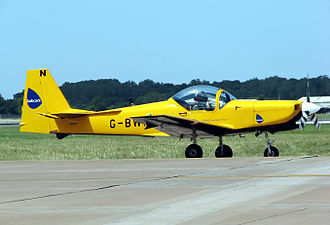 A similar arrangement between Pilatus and British Aerospace had been in place for a Royal Air Force competition in the 1980s, the aircraft was designated under the 1962 United States Tri-Service aircraft designation system and named for the decades-earlier T-6 Texan. The JPATS competition-winning design was based on a commercial off-the-shelf Pilatus PC-9, additional requirements and conflicts between the Air Force and the Navy resulted in delays, cost increases, and a completely new aircraft that is 22% or 1,100 lbs heavier than the Pilatus. 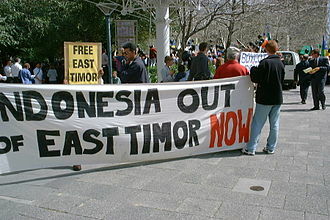 On 9 April 2007, the U. S and it is unusual for a program so far into full-rate production to experience significant enough cost overruns to trigger this congressional notification. The T-6A was introduced to Moody Air Force Base and Randolph Air Force Base in 2000–2001, laughlin Air Force Base began flying the T-6 in 2003 where it is now the primary basic trainer, replacing the T-37. Vance Air Force Base completed transitioning from the T-37 to the T-6 in 2006 and that year, Columbus Air Force Base began its transition, and retired its last T-37 in April 2008. 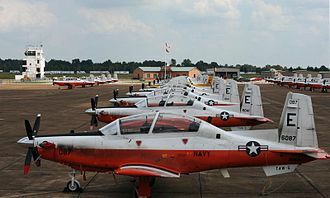 The last active USAF T-37Bs were retired at Sheppard Air Force Base in the summer of 2009, in 2013, Beechcraft was once again the loser. The CT-156 Harvard II is a variant used for instruction in the NATO Flying Training in Canada, located at 15 Wing, Moose Jaw. They are leased to the Royal Canadian Air Force by the programs administrator, nFTCs Harvard II aircraft are almost identical in cockpit layout and performance to the American JPATS Texan IIs. Sarawak Rangers (present-day part of Malaysian Rangers) comprising Ibans leap from a Royal Australian Air Force Bell UH-1 Iroquois helicopter to guard the Malay–Thai border. 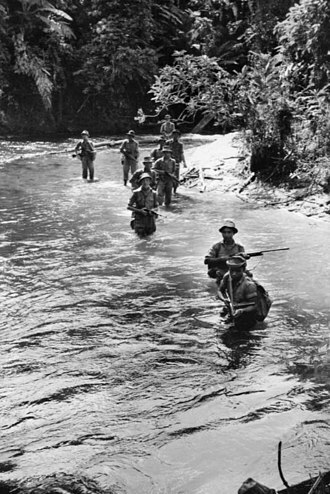 Queen's Own Highlanders 1st Battalion conduct a patrol to search for enemy positions in the jungle of Brunei. 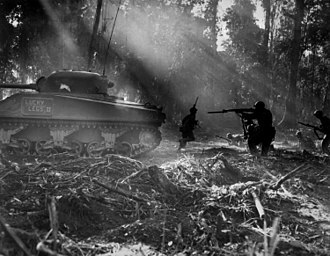 United States Army soldiers hunt Japanese infiltrators on Bougainville in March 1944. A USAF T-6A Texan II flying from Randolph Air Force Base.